To speak of Japanese food, the Dezāto (デザート), the Japanese word for desserts, alone are enough to steal your soul. Here you can learn about some of the best dessert dishes from Japan’s cuisine, in case you are making plans to fly to this beautiful island country for a treat to your eyes and taste buds! 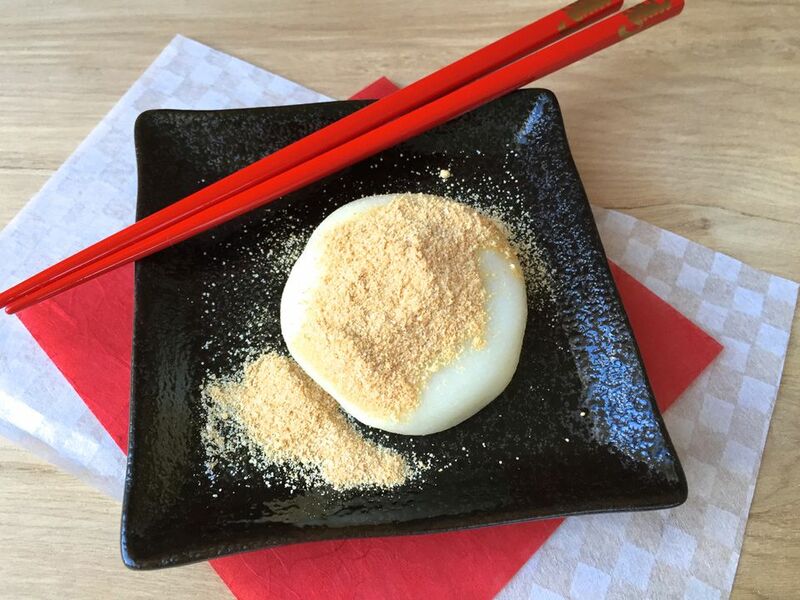 What is it: Mochi is one of the most basic ingredients for making a number of desserts in this cuisine. 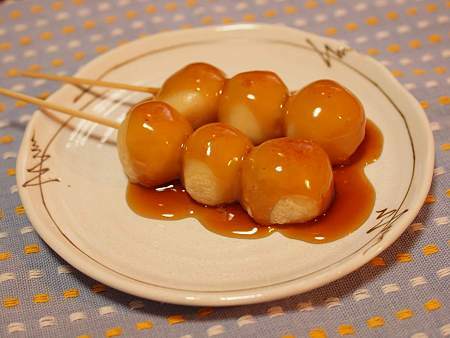 However, if eaten with toppings like kinako (a sugar substitute) or ice cream, it can also be served as a dessert by itself. What does it taste like: Basically a rice cake served both hot and cold, the taste of mochi can vary, depending upon the toppings used. 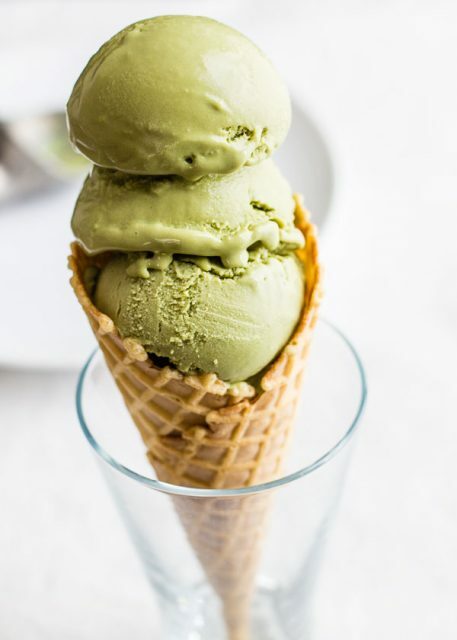 What is it: Matcha is gourmet green tea powder with the taste and freshness of tea, a common flavor for Japanese ice creams. However, because matcha is quite expensive, cheaper green tea powders are also used. What does it taste like: The original flavor of matcha renders a unique refinement to this classic ice cream. 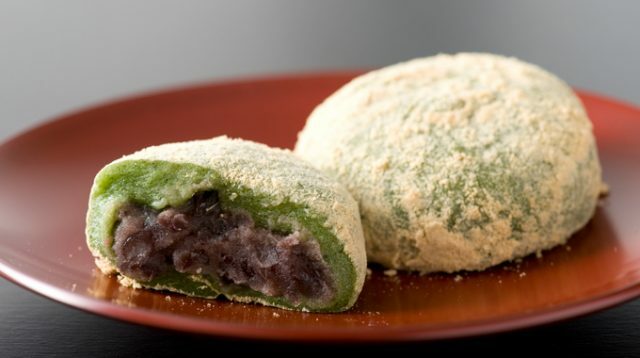 What is it: This is an old Japanese confection stuffed with some sweet filling, usually Anko (sweet red bean paste prepared from azuki beans), but can also be sweet-tasting fruits and veggies like strawberries, bananas, sweet potatoes (sweet yum) etc. 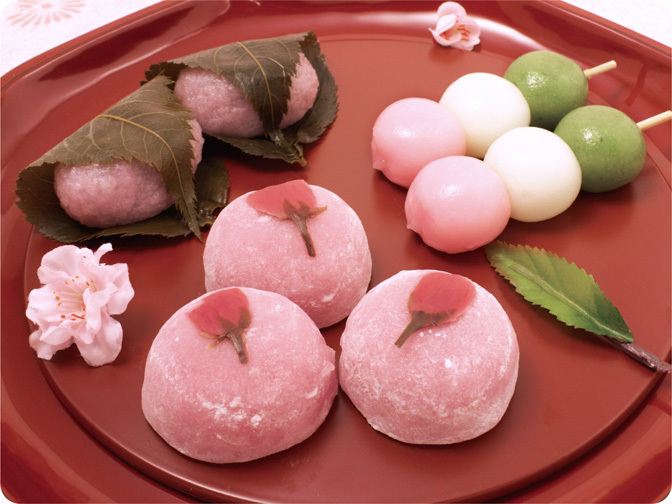 What does it taste like: The flavor of Anko gelatin/jelly stuffing renders a particular flavor to Daifuku. Sometimes, there is a covering/coat of chocolate, cocoa powder, or confectioner’s sugar to enhance its taste. What is it: Dumplings made of rice, often (but not always) served on a skewer stick. It is can also be toasted over an open fire sometimes. What does it taste like: This dessert tastes best when it is grilled along with a sweet topping. 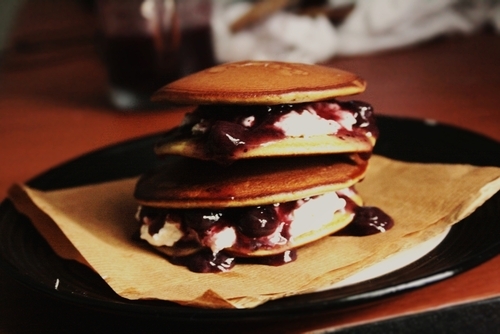 What is it: Castella pancake sandwiches stuffed with Anko (stuffing made of sweet red bean paste). However, whipped cream, ice cream, chestnuts, etc. are also added. What does it taste like: The sweetness of the dish, combined with the unique flavor of red beans has made it a favorite with the Japanese people. 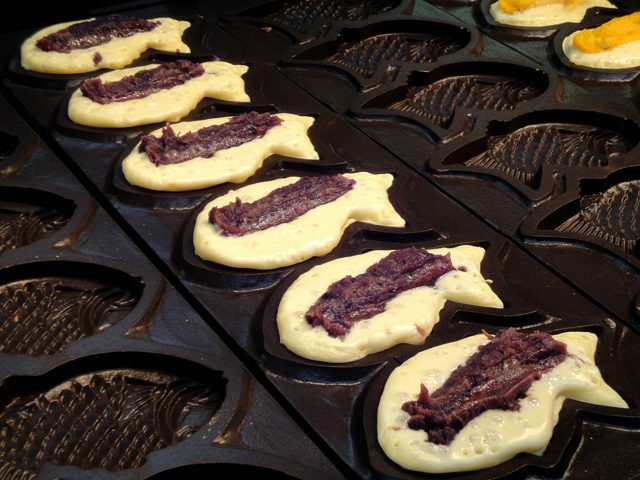 What is it: This fish-shaped cake from Japan is mostly made with a filling, which again is usually a red bean paste, an essential ingredient in this country’s desserts. However, there can well be other fillings, including chocolate, pudding, custard, cheese, tofu, sweet potato, or even sausage. What does it taste like: The taste widely varies, depending upon the type of filling the ‘fish stomach’ is stuffed with. What is it: This dish needs no introduction since the very name is self-explanatory. This elegant Xmas cake is an old and traditional dessert, well regarded in the Japanese cuisine. 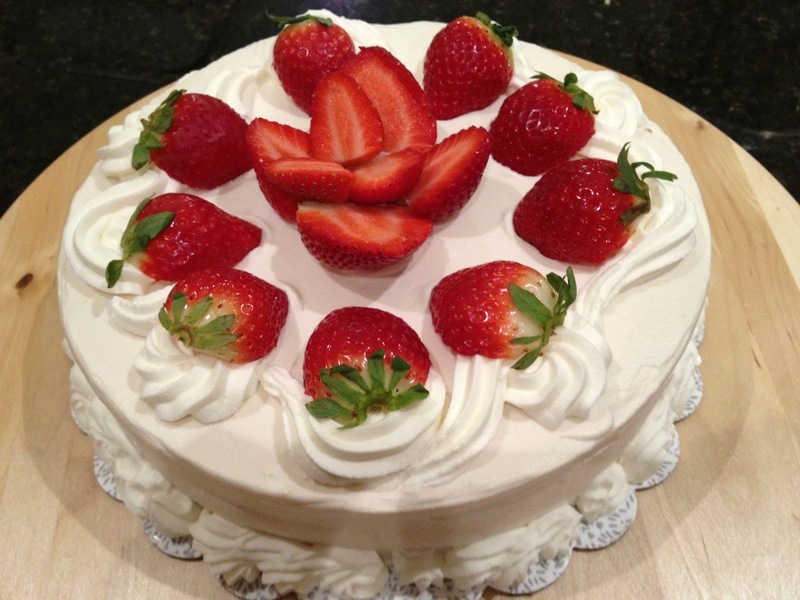 Strawberry plays an integral part in the process of its decoration. What does it taste like: The cake is thickly coated with double cream, with the subtle essence of vanilla, and garnished with a lot of strawberries. Japan’s desserts hold a very special place in the hearts of food lovers from around the world, especially those who have a big sweet tooth. The dishes are famous not just for their taste, but also for their appealing looks; once you take a look at them, you might want to keep away your concern for high calories and gluten-free diets for a while.